HORROR UNITED!, originally uploaded by MsMonster. 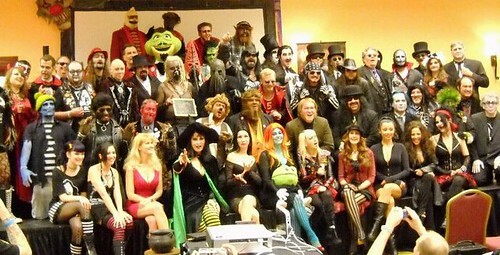 Horror hosts from all over the country united in Indianapolis Indiana at HorrorHound weeked for the Dark Carnival's Vampira Tribute to honor the woman that started it all. Get your freak on!